Several new books about, or in the style of, Romany have been published by Romany Society members in recent years. Some reprints of Romany’s own books for children are also available. A few of the original books area also available as audio-books, read by Terry Waite. By Phil Shelley. Foreword by Terry Waite and illustrated by Leonard Hollands. 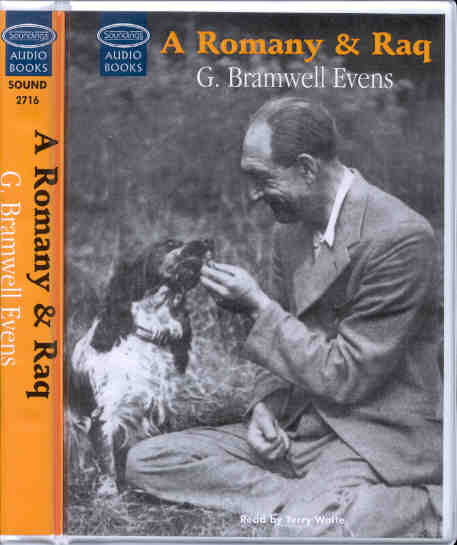 Remember Romany Society member George Swalwell, the real ‘Tim’ of the Out with Romany books? He is commemorated in this new edition of Romany in the Lanes. For the farm boy in this book, George Swalwell, was indeed a real person. 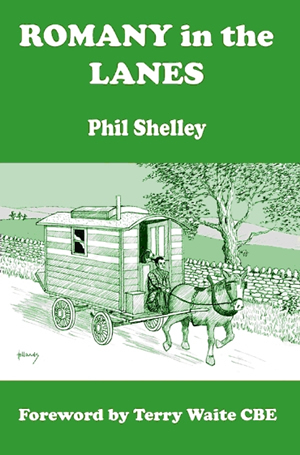 Sadly, George passed away in March 2016, aged 95, and this new edition of Phil Shelley’s first ‘Romany’ Book is a tribute to him. Terry Waite writes of George Swalwell: “George was a lovely man full of gentle wisdom that came from living close to nature. It was always a delight to listen to his many stories, some of which are recounted in this book. We remember him with great affection and count ourselves fortunate to have known and shared with him the love of the English countryside. This new edition of the book includes an introduction by Sue (Swalwell) Mitchell, one of George’s daughters, and a number of photographs from the Swalwell family album. memory of George. It is available from Lamorna Publications, Yew Tree Studio, Marshwood, Bridport, Dorset DT6 Cheque for £12.00 including p&p should be made payable to R L Hollands. Descriptions of other titles currently available are given below. Walks with Romany: This is a re-publication of a now extremely scarce book, written by Romany himself. Originally published in the Broadcast Echoes Series (which is probably why it never became as well known as Romany’s other ten books) it contained a few illustrations. This edition is liberally illustrated by Leonard Hollands. As with all Romany books, we are given enjoyable insights into the ways of birds and animals, and country life as it was in the first half of the twentieth century. This book is a must for all Romany enthusiasts, and, indeed, for all who are interested in wildlife. Hotchi the Hedgehog: Many members will be aware that the most difficult-to-obtain Romany books are the eight ‘Romany Readers. Originally published for use in school reading lessons, these soft-backed books were extremely popular in the fifties and early sixties. Following the introduction at the Vardo Open Days of the now–popular Romany puppet shows, thanks to our Treasurer Alistair King, a facsimile reprint of Hotchi the Hedgehog, number 1 in the original series, is now available (Hotchi appears in the puppet show!). This is an ideal opportunity for grandparents to introduce grandchildren to Romany in a most attractive way, either by reading the Hotchi story to them, or encouraging them to read it for themselves. There are 64 pages in the book, and its is generously illustrated by the acclaimed artist Reg Gammon. At the back of the Reader there are some questions about the text. In this age of quiz questions everywhere this aspect of the Reader should be a winning bonus. Terry Waite has written a delightful introductory message to the book. Copies can be obtained from Les Horton at 5 Glossop Road, Gamesley Bridge, Gamesley, Glossop, High Peak SK13 6JH Tel. 01457 860376. One of Romany’s earliest children’s books, originally published in 1930. This audio-book version is read by Terry Waite. 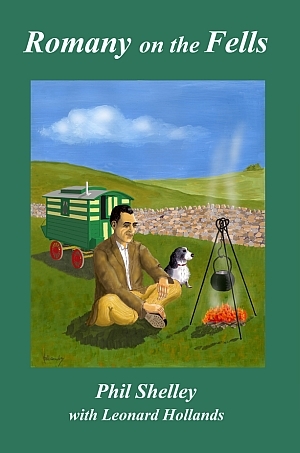 From the modern publisher’s description: Another collection of memoirs from George Bramwell Evens, the Romany of the BBC’s Out with Romany, always most at home in the outdoors, in his little tent or his horse-drawn caravan. Accompanying Romany and Raq on their rambles, we share the sights, smells and noises of the country. We learn of the mysteries of squirrels – God’s unpaid gardeners, unknowing sowers of beauty – and of the spider’s family problems, sending off her babies like parachutists into the big wide world. Romany also introduces us to old friends: Alan and Joe, the farmers; Jerry, the poacher and Sally Stordy, only to pleased to stop her housework to give Romany and Raq a cup of tea and a slice of her blackberry-and-apple plate-cake. “Although Romany of the BBC died when I was a very small boy he was an unforgettable part of my childhood. On my way home from school I would linger in the local bookshop in Wilmslow and gaze longingly at the volumes on sale. A new Romany book cost about ten shillings and sixpence, way beyond my pocket. I dropped several hints around the time of my birthday and managed to build up quite a collection. Some forty years later I discovered that a bridesmaid at my parents’ wedding typed all the the manuscripts for Romany and when she died I inherited a wonderful collection personally signed by the author. 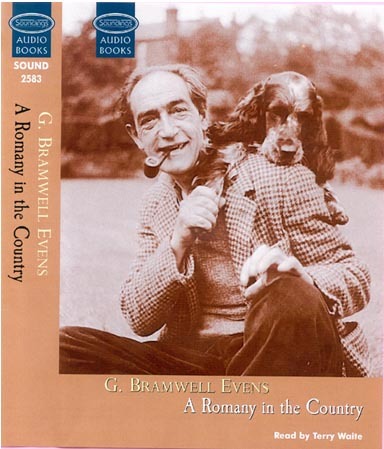 As in Phil Shelley’s first book, Romany in the Lanes, we walk once again with Romany of the BBC (The Reverend George Bramwell Evens), the popular Naturalist writer and broadcaster who died in 1943. Romany was an inspiration to a whole generation and through him countless people came to love and appreciate wildlife and the countryside. Later generations also came under his influence, the author and artist of this book included, through reading his books. This present book is set in Cumbria – Cumberland as it then was. The places are real, and the characters are real people from Romany’s era. Based at Old Parks Farm in Glassonby with his beloved vardo (Gypsy caravan), Romany, accompanied by Arthur, the son of a local farmer, explores the intimate secrets of the creatures around them, and further afield. We watch dippers, foxes, nightjars, merlins and much more. We even go ‘on the road’ in the vardo. We also experience the traumas of the awesome Helm Wind and an enveloping snowfall. It is to be hoped that this book will enthuse both older children and adults alike with a deep love for the Natural World, so precious to Romany himself, and so important to the future of our planet. 126 pages in softback with black and white illustrations and photographs. Available from Lamorna Publications Yew Tree Studio, Marshwood, Bridport, Dorset DT6 5QF 01297 678140 www.lamornapublications.co.uk. The the first new Romany book in over fifty years! 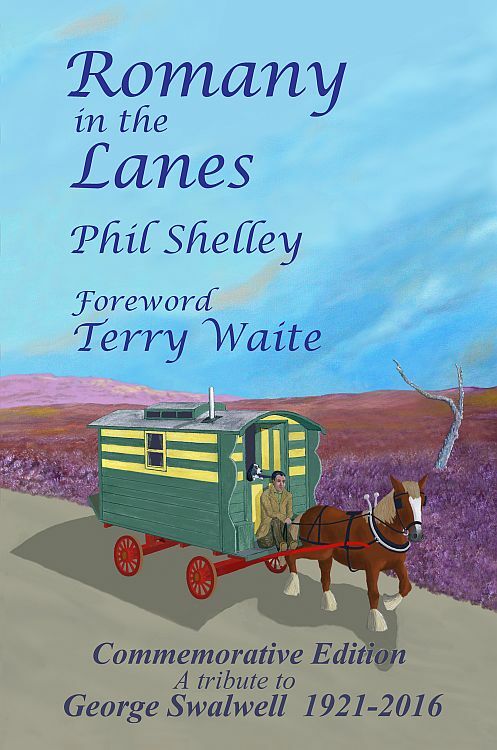 Phil Shelley, the author, and Ray Leonard Hollands, a talented illustrator, have jointly captured the spirit of Romany in this lively story, which appeals to older children and adults alike. Romany has to move his gypsy caravan when a flash flood threatens his safety. At its new location, he meets George, the farmer’s son, who soon becomes his friend. Experience a range of emotions as Romany introduces George to the wonders of nature; laughter as they attempt to photograph young barn owls on the nest; concern as George falls from the cliff edge; tears when George thinks that Meg, his favourite Border collie pup, is gone forever. 126 pages in softback with black and white illustrations and photographs.